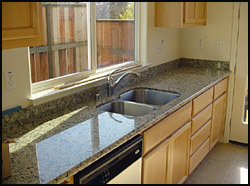 LeDuc & Dexter, Inc. did major portion of the work on the Victoria subdivision. 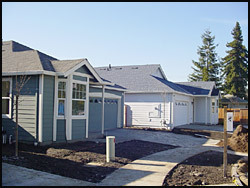 Located next to Mead Clark Lumber at Hearn Ave. and Dowd Drive in Santa Rosa the infill subdivision consists of 8 single family homes and two duplexes. These are entry level homes built by Carco Homes. LeDuc & Dexter completed their plumbing, fire sprinklers and water heater installations for all of the homes and duplexes. LeDuc & Dexter installed Kohler fixtures in all the kitchens and bathrooms. A sound wall was built to separate the subdivision and the adjacent lumber yard. The subdivision cul-de-sac on David Lee Court can be accessed from Victoria Drive off Hearn Ave. The Duplexes also have an entry way from Hearn Ave.
LeDuc & Dexter has worked with Carco Homes for a number of years and soon after were starting a new project starting in Fountaingrove Village on Stagecoach Rd. that totaled 23 units. 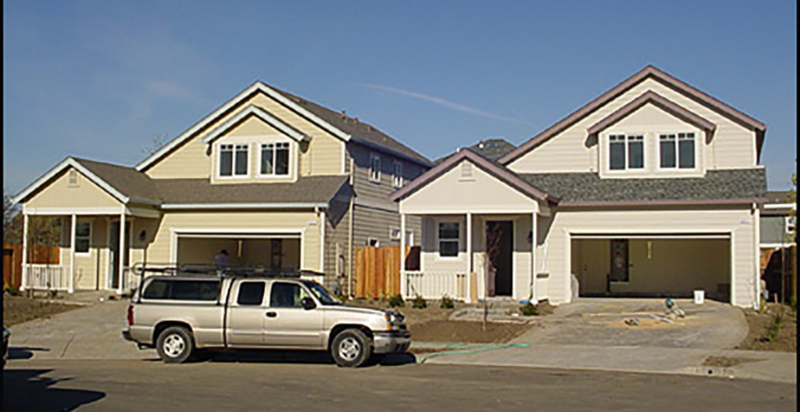 LeDuc & Dexter also worked with Carco Homes on a high-density cluster of 25 homes near the Sonoma County Fairgrounds, which were considered entry level homes. LeDuc & Dexter also worked with Willow Glen Homes, a division of Carco Homes, on an expansion project at Oakmont that consisted of 165 homes upon completion. LeDuc & Dexter worked with Willow Glen Homes on the Olivas Subdivision on Brush Creek Road, an upscale custom home project. With luxury and custom homes, infill projects and entry level homes, Carco Homes appears well positioned for the future in the diverse housing industry of Sonoma County.